Fancy a new credit card that keeps your Virgin Australia Velocity Frequent Flyer points balance in surplus? Then take a look at this month's top card offers, which place over 900,000 bonus Velocity points on the table, with the nation's largest credit card sign-up deal providing up to 205,000 bonus Velocity points from a single card application! Whether you're seeking a Visa, Mastercard, American Express or even a Diners Club card, here are the most rewarding standard personal credit card sign-up offers currently in the market from American Express, Citibank, Virgin Money and Westpac, along with some other notable deals from ANZ and St. George. Continuing its reign in first place is the Citi Prestige Visa Infinite Credit Card from Citibank with the new optional Linked Diners Club Card attached, for a bonus of up to 205,000 Velocity points (at Citibank Rewards' current transfer rates): here's how it works. With or without the Linked Diners Club Card, eligible new Citi Prestige customers could qualify for up to 400,000 bonus Citibank Rewards points when applying by March 31 2019, awarded as 20,000 bonus points per month over 20 months, where at least $1,000 is spent on purchases in each statement period. In addition, if you chose to request the Linked Diners Club Card as part of your application, you can earn a further 10,000 bonus Citibank Rewards points after your first Linked Diners Club Card spend within 90 days of approval. Maximise both offers and that's an overall bounty of up to 410,000 Citibank Rewards points, equal to a hefty 205,000 bonus Velocity points at the program's current 2:1 conversion rate for Prestige cardholders. A $700 annual fee applies, although there's no extra charge for holding the Linked Diners Club Card alongside, which also comes with no international transaction fees on overseas spend and an uncapped earn rate of 2 Citibank Rewards points (=1 Velocity point) per $1 spent on eligible purchases. Spending on the Visa earns points at varying rates of between 1 and 3 Citibank Rewards points (=0.5-1.5 Velocity points) per $1 spent on eligible purchases, but just take note that no points are awarded on government or government-related transactions on either card (such as on ATO payments). Tempting with an offer worth up to 155,000 bonus Velocity points, the Citi Rewards Signature Visa credit card with that optional Linked Diners Club Card. Again, with or without the Linked Diners Club Card, Signature-level customers can earn 15,000 bonus Citibank Rewards points per month for the first 20 months, when applying by March 31 2019 and spending $1,000 or more in each statement period, providing up to 300,000 bonus Citibank Rewards points when hitting those monthly targets. There's also currently a reduced annual fee of $195 in the first year, and in future years, you'd pay either $197.50 where $48,000 is spent in the prior year: otherwise, the fee is $395. There's again no extra charge for holding the Linked Diners Club Card, which provides the same earning rate (2 Citibank points per $1) and benefits (e.g. no international transaction fees) as offered to Prestige cardholders. Sharing third place this month with base offers worth up to 80,000 bonus Velocity points, the Citi Rewards Platinum Visa, the personal American Express Platinum Charge Card, and the Virgin Australia Velocity High Flyer Card issued by Virgin Money – here's how that works for each card. You can also take home a further 4,000 bonus Velocity points (10,000 Citibank Rewards points with a 2.5:1 conversion) by requesting that Linked Diners Club Card during the application process and making your first Linked Diners Club Card spend within 90 days of approval. American Express: Apply as an eligible new customer and spend $3,000 per month within the first three months, to earn 80,000 bonus Membership Rewards Ascent Premium points, equal to 80,000 Velocity points after a 1:1 conversion. An annual fee of $1,450 applies, although you can earn up to three points per dollar spent on purchases (such as at many AMEX-accepting restaurants in Australia, where points are awarded at the highest rate), although lower-than-normal earning rates apply to insurance, utility and government payments. 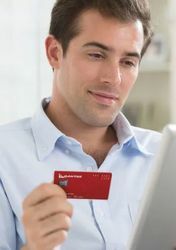 Virgin Money: When you apply by January 31 2019, you could take home 30,000 bonus Velocity points per month in each of the first three months where at least $3,000 is spent on the card every month: up to 90,000 bonus Velocity pointsat the end of month five. In return for its $289 annual fee, the Virgin Australia Velocity High Flyer Card also gives one Velocity point per $1 spent on eligible purchases up to $8,000/month, reverting to 0.5/$1 thereafter (no points on government payments), and also includes a $129 Virgin Australia gift voucher each year plus two Virgin Australia lounge passes to help offset that yearly charge. With a boosted offer of 75,000 bonus Velocity points right now, the American Express Velocity Platinum Card does away with bank-operated points programs and instead credits your Velocity points directly to your frequent flyer account every month, just like the High Flyer card above. Eligible new customers can earn their bonus when applying by November 14 2018 and spending $3,000 on purchases within the first three months and paying a $375 annual fee. Most everyday spend attracts 1.5 Velocity points per $1 spent, with the card also including a free return Virgin Australia domestic flight every year and airport lounge passes, among other benefits. Take home a bonus equal to 60,000 Velocity points through the American Express Westpac Altitude Black Bundle, ANZ's Rewards Black Visa, or Virgin Money's Virgin Australia Velocity Flyer Card. Again by using Velocity Auto-Redemption from Altitude Rewards, spending on the American Express Westpac Altitude Black Card also provides the equivalent of 2.5 Velocity points per A$1 spent on purchases in foreign currency; 0.5 Velocity points per $1 spent on government payments in Australia; and 1.5 Velocity points per $1 spent everywhere else: while the Altitude Black Mastercard features an earn rate equal to 0.625 Velocity points per $1 spent (with some exceptions such as ATO payments). Over at ANZ, the bank's latest offer serves up 120,000 bonus ANZ Reward Points and $100 back to your new ANZ Rewards Black card when you apply and spend $7,500 on eligible purchases in the first three months. When converted from ANZ Rewards to Velocity at a 2:1 rate, that bounty is equal to 60,000 bonus Velocity points. There's a Total Annual Fee of $375 – reduced in 'cost' in the first year, of course, after taking into account the $100 back on your statement – and through the bank's rewards scheme, you can earn up to one Velocity point per $1 spent. That's achieved by accruing two ANZ Reward Points per $1 spent on eligible purchases (up to and including $5,000 per month), providing one Velocity point per $1 spent after conversion, then one ANZ Reward Point per $1 spent on eligible purchases above $5,000 per statement period, equal to 0.5 Velocity points per $1 spent, uncapped. 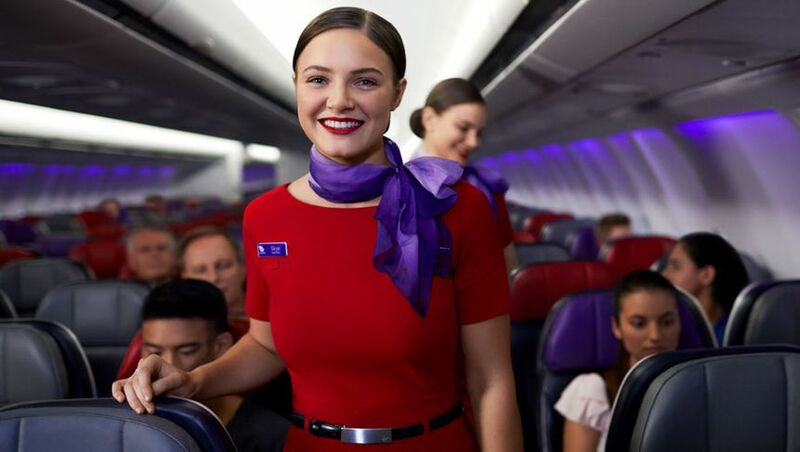 Otherwise, Virgin Money's Virgin Australia Velocity Flyer Card is currently offering 20,000 bonus Velocity points in each of the first three months for customers who apply by January 31 2019 and spend at least $1,500 in each statement period, totalling 60,000 bonus Velocity points at the end of the third month. Up to 37,500 bonus Velocity points via the American Express Westpac Altitude Platinum Bundle: apply by April 2 2019, choose Altitude Rewards and spend $3,000 on purchases using the Altitude Platinum Visa within 90 days of card approval to earn the equivalent of 30,000 bonus Velocity points, and also spend $3,000 on purchases using the American Express Westpac Altitude Platinum Card within the same time frames to earn the equivalent of 7,500 bonus Velocity points (both via Velocity Auto-Redemption), with no annual fee to pay on the Visa in the first year ($150 thereafter). The AMEX attracts a $49 annual fee. 37,500 bonus Velocity points from the ANZ Rewards Platinum Visa (apply and spend $5,000 on eligible purchases in the first three months to earn 75,000 bonus ANZ reward points – equal to 37,500 Velocity points when converted at a 2:1 rate – with a total annual fee of $95 and an earn rate worth up to 0.75 Velocity points per $1 spent. Citibank are consistently the worst bank to deal with for credit cards with all their restrictions on eligible purchases and unnecessary requirements for evidence during the application process...easier to just deal with the cost of buying a ticket without the points and forgo having to deal with them. Citibanks eligible purchase restrictions are no different than most other credit cards. To be fair, HSBC also rules out points on all government payments along the same lines as Citibank, including things like rates and car rego - not only the ATO. That is correct but I was talking about cards that can be converted to velocity (to keep it in line with this article). my frustrations with citibank are more about their application requirements. They kept pestering me for additional information that i've never had to provide for other CC applications (and i've done many over the years). Each time I provided what they asked, then they took a few days and then say, oh we still need another thing. This dragged on for a month before I decided to cancel the application. By comparison, from initial application to card in hand when dealing with other banks typically takes 2 days to 2 weeks max. Looks like government transactions are included in the American Express Westpac Altitude Black Card. So you could just pay $3k to the ATO on your card to get the bonus points? Hi JakeDrake, are you seeing this transfer rate after logging into the Citibank Rewards website as a Signature cardholder, or only when you're not logged in? Citibank's website generally shows the 'standard' rates if you're not logged in (e.g. 2.5:1 to Velocity, which applies to Platinum cardholders), and the options given are only updated to the 'better' rates and partners if you're logged into a higher-tier card account (e.g. 2:1 for Signature to Velocity, and all the extra partners that are unlocked with Prestige). Comment on "Top Virgin Australia Velocity credit card sign-up deals for October"